Aurelia aurita. At the Pittsburgh Zoo and PPG Aquarium in Pittsburgh, PA. 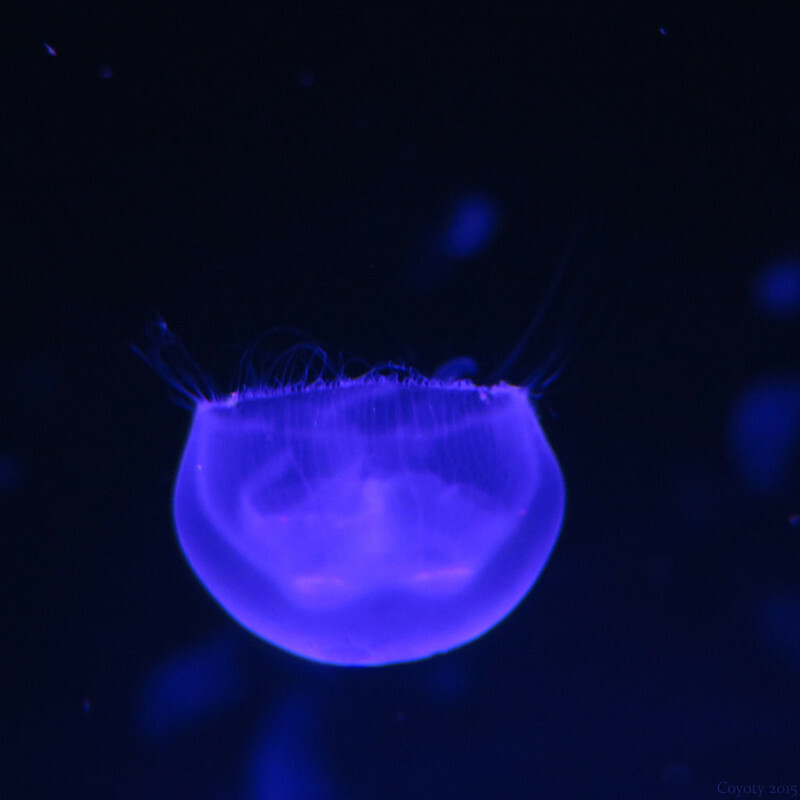 I always see moon jellies displayed in blue light, not green or other colors. I'm assuming it's closer to ultraviolet and they glow better, but I'm wondering if they'd glow just as well in other colors, like acrylic sheets do.